Thanks for the Great #UVaSummer! With the final Move-In Day underway and the University Guide Service about to start giving tours during the regular academic year, it's time for the Office of Admission interns to say goodbye. Thanks for following along this summer and reading our posts about Charlottesville, professors, the arts, study abroad, traditions, diversity, athletics, and student self-governance! Want to still keep learning about student life? 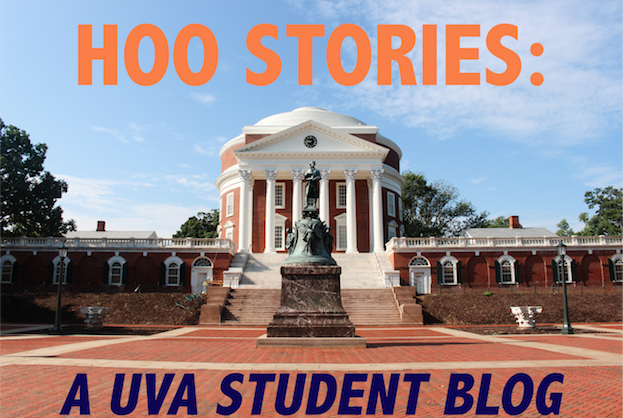 Scroll through the archives and know that more student bloggers will be here to run Hoo Stories soon enough. Part XIII: See Our @UVa_Summer Instagram! For our final Follow Friday of the #UVaSummer, take a look at fun outdoor activities and move-in day below! "'Res Lifers hike Humpback on Humpday.' @misskatiesomers #uvasummer"
"'Just one more day until first year move in! Are you ready?? #uva2018 #uvamovein' @thecavalierdaily #uvasummer"
Football season is only nine days away. 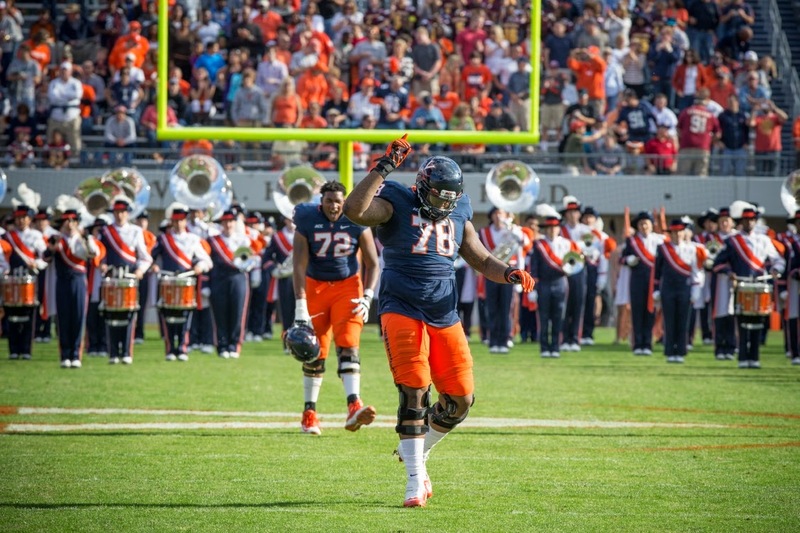 Anticipation is building for the upcoming fall for UVA football. Coming off a disappointing 2-10 season, UVA football is looking to start anew against UCLA on Saturday August 30th. The game will be held at UVA in Scott Stadium and televised on ESPN starting at 12PM ET. The game against UCLA will be a tough challenge for UVA football as UCLA is ranked #7 in the AP preseason poll. Last season, UCLA had a 10-3 record. They defeated, Virginia’s rival, Virginia Tech in the Sun Bowl. This season, UVA will have a new starting quarterback, sophomore Greyson Lambert. The UVA fanbase is excited about the upcoming season and looking forward to see what UVA is able to do in the 2014-2015 season. If you have ever visited the University of Virginia or been on an historical tour, then you may have noticed some different terms used by the student body than you would here at other colleges. Here is a helpful guide to some of the terms that you will hear while coming to UVa. At UVa, we call our campus Grounds instead of calling it "campus." On admissions and historical tours of UVa, the tour guide will prefer to the area of the school's campus that you are on as a specific area of "Grounds." Instead of calling themselves freshmen, sophomores, juniors, and seniors, students at UVa will call themselves first-years, second-years, third-years, and fourth-years. The reason behind this tradition dates back to the founding of UVa. First, Thomas Jefferson believed that learning was a life long process that was never completed, so therefore you could never be a senior in learning simply by beginning your fourth year of college education. Second, during the first years of UVa's function, many students would enter UVa for a year or two and then leave to return home for an extended period of time, and then they would come back to UVa to continue their college studies. Therefore, It made more sense then during UVa's early years for students to identify what year of their undergraduate education they were in rather than calling themselves a freshman, sophomore, etc. Even students that are pursuing graduate level studies here at UVa will say they are "second-year law students" rather than saying "sophomore law student." 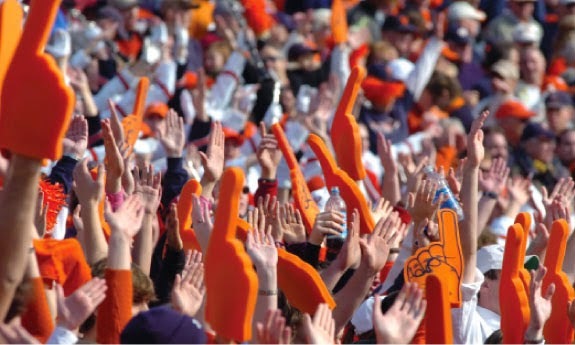 The official name and mascot of the UVa athletics teams is the Cavalier, but our informal name for our sports teams and our students is the Wahoo, or simply the Hoo. At any UVa athletic event, you would hear the announcers say "Go Hoos," rather than "Go Cavaliers," and you will also here many professors on Grounds refer to students as simply "Hoos." The origin of this nickname for our sports teams and students goes back to a heated baseball rivalry with Washington and Lee University in the 1890s. During the 1890s, the fans of Washington and Lee's baseball team would refer to UVa students as fans as "wahoos." Overtime, this name came to be used more frequently around Grounds and by the 1940s it had become a commonly used term to refer to UVa students and athletic teams. Since then, the term has since been shortened to just "Hoos" rather than "Wahoos." One of the most popular places for UVa students to go out to eat and hang out at is an area of University Avenue called "The Corner." University Avenue is one of the main streets of the area of Charlottesville near UVa's Grounds, and it serves as a kind of outline for the area of Grounds just north of the Rotunda. The Corner has some of the most popular restaurants, shops, and bars that students will go to throughout the year. The original classroom and dorm buildings of the University of Virginia are located in an area of Grounds called the Academical Village, and the Lawn is the grassy area that divides the East and West sides of the Academical Village. The Academical Village is comprised of the 10 Pavilions, 54 Lawn Rooms, and the Rotunda that surround the Lawn. Thomas Jefferson called the original Grounds of UVa the "Academical Village," because he believed that a college should be like a village where professors and students would live and learn together during their years at UVa. The Lawn serves as the quad of UVa's original Grounds, and while there are some Quad areas in the first-year dorm areas, the Lawn would be the equivalent of the central/original quad of UVa. Although the Fralin Art Museum is not a performance group here at UVa, which is what I have been mostly writing about, it is still a great opportunity for anyone interested in art to check out. The Fralin is located right on Rugby Road, so very close to the Academical village and right near the other arts buildings we have at the University is free. Exhibits are held throughout the year and give a wide range of studio art types from paint to sculpture and many different takes on the medium as well. Admission to the museum is free and they are open Tuesday to Sunday from 12:00 to 5:00. Tours are given to elementary school groups, organizations, and senior groups so feel free to hop on one of these guided tours or even volunteer to be a docent at the Fralin and lead the tours yourself. I am excited to check out the exhibit this semester called Realms of Earth and Sky (which will be open from August 29th to December 21st of 2014) to see the museum's collection of Indian art. With all the exhibits and tours the museum offers it is definitely a place students should take advantage during their time at UVa. For a look at their upcoming and current exhibits as well as more information on the Fralin Art Museum check out their website. Want to get into nature? Looking for some fresh produce? Hoping to hear some live music? All of these things and more are available to you at Carter Mountain. This orchard, frequented by locals and students alike, has mountain views, fruit picking of all kinds, and even concert series. This past Thursday I went out to their Sunset Series which features live music every Thursday evening through the end of September. There's food, an ice cream bar, an old-fashioned country store, and some really good chicken salad. Students and family's filled the Carter Mountain's decks and surrounding hills for the event. Part XII: See Our @UVa_Summer Instagram! Don't forget to also follow other UVa Instagram accounts, like @UVaDeanJ (reposted below)! "These students are still showing school pride all the way on the UVAlps! 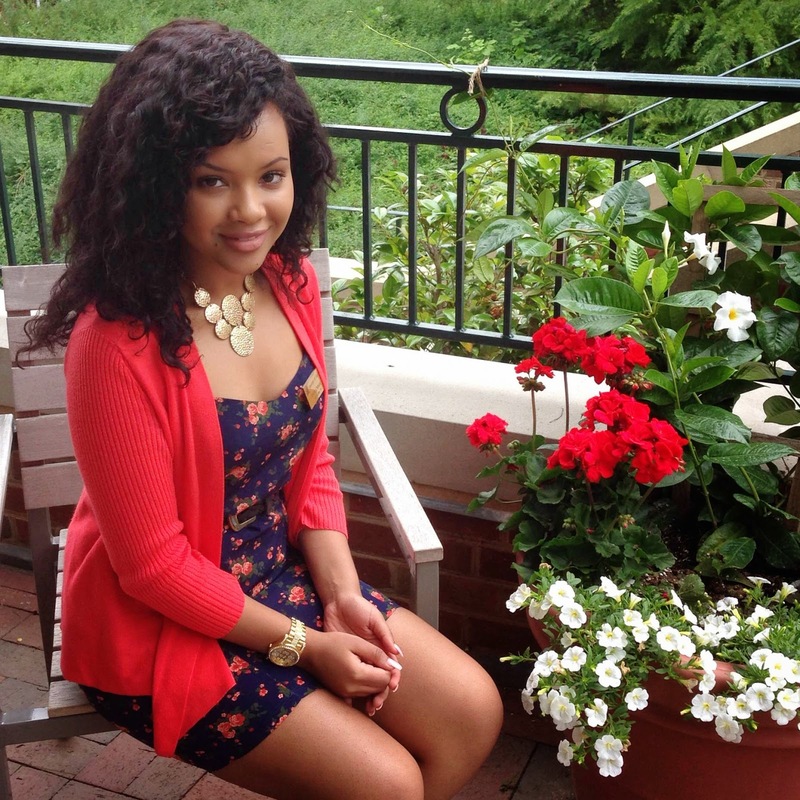 #UVaSummer"
"Have you followed @uvadeanj at the Office of Admission yet? She has great pics of #CavDog! 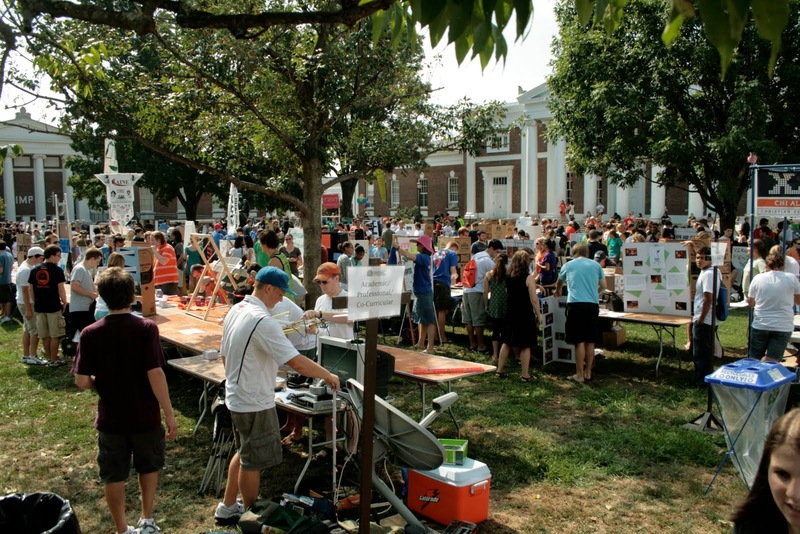 'Just a few more weeks until the #UVa Grounds are bustling again! #UVaSummer #Charlottesville #Virginia"
I've told about a bunch of ways to get involved in the great student organizations we have here at the University but let's you get here and realize we don't already have a club or organization you're interested in joining- what do you do? Well fear not, we have a solution! 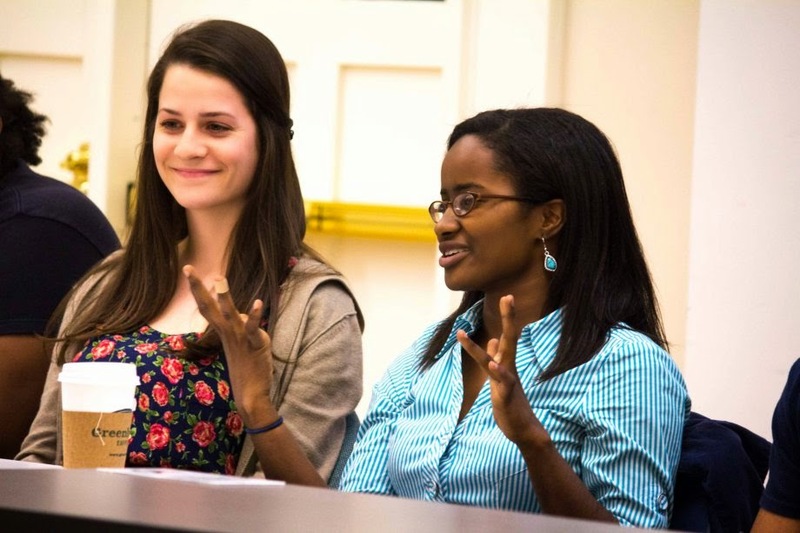 UVa allows students to start their own CIOs, which are Contracted Independent Organizations. A CIO exists and operates independently of the University and manages its own affairs. So lets say you arrive at the University and realize we don't have an organization for Netflix lovers, you can start the Official Netflix CIO and enjoy binge watching with your fellow Netflix addicts. Do other organizations currently exist that might address similar interests or a similar purpose which you hope to achieve with your new CIO? The organization’s main officer as well as at least 51% of the members of the CIO must be full-time, fee paying University students. Each CIO must maintain a constitution and save it on atUVa. A constitution template is provided in the registration if you do not have one prior to the submission process. The Vice-President of Organizations for Student Council and the Office of the Dean of Students will review your submission. *Club sports require a third review from the representative of Intramural-Recreational Sports. The Vice-President of Organizations for Student Council will meet with the organization to discuss the CIO. After meeting with the organization, the VPO will present the organization to the Representative Body of Student Council for approval. * The time for this process can vary depending on meetings, constitutional corrections, use of the University’s name, and meeting with the VPO. Once a CIO has been approved, the President will be notified via atUVa messaging system. CIOs will need to attend a Treasurer’s meeting and HOO’s In the Know? New CIO Workshop. *Emails will be sent out to new CIOs about meeting times. Then you're all set! For more information, visit the Student Activities Webpage! There are also students groups dedicated to promoting and raising awareness for socioeconomic diversity and how it impacts student's day to day life. For instance, the student group UFUSED at UVA (United For Undergraduate Socioeconomic Diversity) helps advocate for students in need of financial assistance to attend school. Also significant portions of funds in the annual class giving campaigns are donated back to AccessUVA. The University Bookstore is a non-profit as well donating all proceeds to financial aid services. Hoo's Abroad? Niki in Valencia! Niki Shumaker (CLAS '17) in Sevilla, Spain, in the royal alcazar. Today we're going to find out more about study abroad in one of UVA's flagship global programs, UVA in Valencia. According to the Hispanic Studies in Valencia, Spain website, this program has "been created through the University of Virginia, which is responsible for the quality of the courses offered. All grades, transcripts, and credits earned in the UVA Hispanic Studies in Spain Program are accredited and forwarded by the University of Virginia to any other American institution of higher learning." 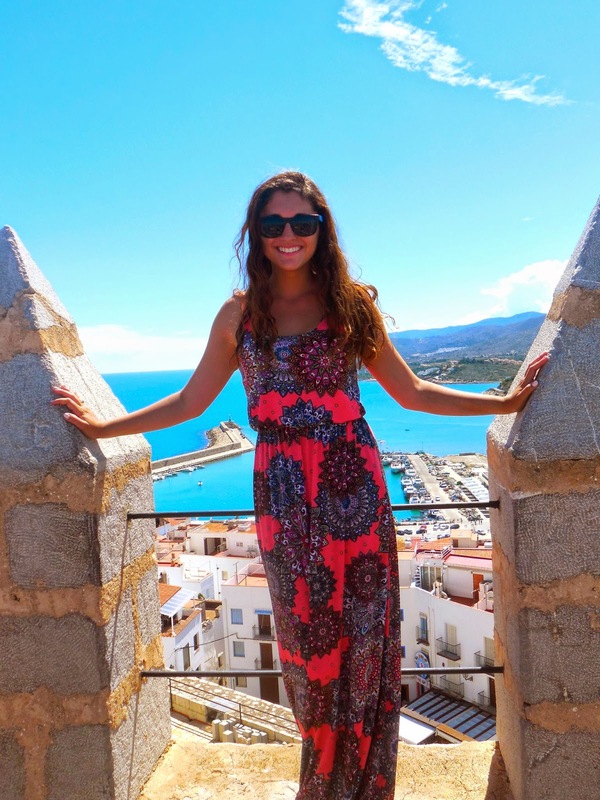 Niki Shumaker, a current second year in the College of Arts and Sciences majoring in Foreign Affairs with a minor in Business Spanish, just returned from the summer program in Valencia. This upcoming fall she will be interning with the Office of International Studies as a Study Abroad intern, helping other students take advantage of the many study abroad opportunities UVA offers! 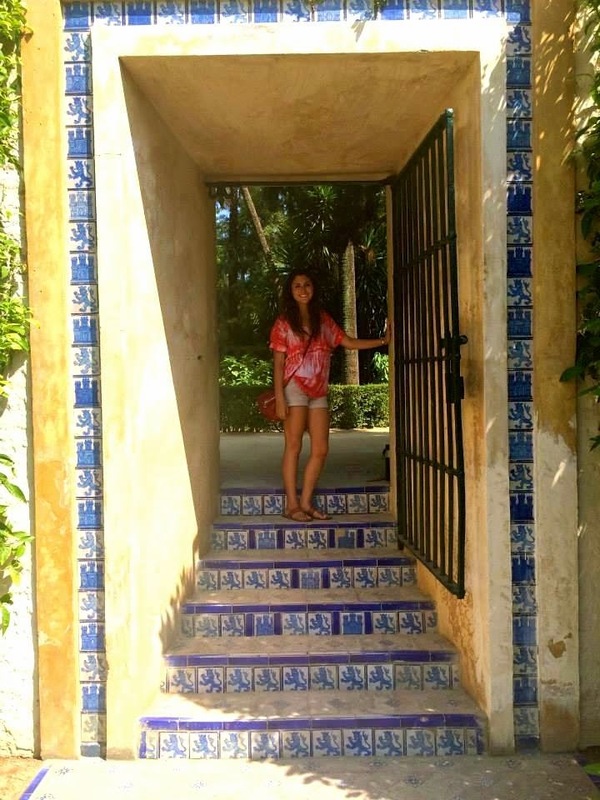 I chose Valencia because it offers courses for my Business Spanish minor, but in addition to that I have been studying Spanish since kindergarten, yet felt that I was missing out on truly understanding the culture. I think that one of the most important things in my life, especially as a Foreign Affairs student, is not only reading about other cultures, but to truly appreciate and experience them. I think this is the only way to truly understand cultures different from my own. Since I had always planned on minoring in Spanish, it was very important to me to take the opportunities available to do just that and really understand the roots and daily routines of Spanish life. I took Business Spanish (3040), Translation (4040), Business Practices of the Spanish Speaking World (4050), and Spanish Economy (4713). What was the biggest learning experience you have had? The biggest learning experience I had while in Spain was how to accept that studying abroad is not being a tourist; it is much more rewarding than that. However, that means learning that your life will be filled with new patterns and eccentricities, and that you should not only learn to live with these, but to celebrate having them. It means having new favorite foods because you won’t have your favorite foods from home. It means having a new favorite place to run because you won’t have your favorite path in your neighborhood. It means replacing your cup of coffee with a shot of espresso with varying amounts of milk, and replacing your car with a bus or the metro. Instead of resisting these changes, the most important thing is to adapt, thrive, appreciate, and enjoy them. Another Professor who teaches in the College of Arts and Sciences is Professor George Gilliam. 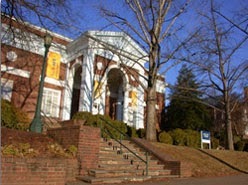 Professor Gilliam teaches in the Corcoran Department of History here at U.Va. and has been teaching at the University for 12 years now! Aside from history, Professor Gilliam likes NASCAR. In fact, In 1989 he published the “definitive” book on NASCAR. He says, "That is far from the craziest thing I done in my life!" “I was born! Everyone who is born has history; I decided to explore my own history, and the historical context into which I was born. I practiced law for almost 30 years before returning to the University of Virginia to study, and to teach, history." "The very bright and curious students, and the outstanding faculty. " "About five years ago, a student appeared at my office hours in about the 3rd week of class and announced, “I’m not getting it.” When he told me he wanted to “get it,” I suggested that we meet for one hour every week so I could review his lecture notes ad then we’d discuss the readings. By Thanksgiving, he proudly told me that he discussed all of our sessions with his girl friend, and that she thought he had “become a history buff.” He ended up doing fine in my course, became a history major, and graduated with his class. I considered that a victory not only for him but for the history department." Want to take a class with Professor Gilliam? He is well known in the College and history department for teaching the American History survey, seminars in Southern Progressivism, History of Virginia until 1865, and the sequential course the History of Virginia 1860-2010. He even began a new class this summer called Viewing the South, which examines the changing way the American South has been depicted in films and short stories over the last 100 years! Check him out!! Can you talk a little about the roommate selection process? You are required to live on Grounds during your first year here at UVa, and although you can apply to live in a single room, a majority of students will indeed be living with a roommate. There are three ways you can go about choosing a roommate and as a first year student, getting the “perfect” roommate might be high on your list of priorities, but research actually shows that regardless of how you pick your roommate, the overall success rate is just about the same. When choosing a roommate, you can pick someone that you already have a relationship with, someone that you meet and get to know on-line or you can simply choose to allow the University to randomly assign you a roommate. If you already have a relationship with a someone coming into the University, all you have to do is put their name down on the housing application and, granted he/she puts your name down as well, you two will be matched up to share a room. Nowadays, many students choose to meet and get to know other incoming students over social networks like Facebook and Twitter, maybe meet up once or twice, and ultimately choose to room with one another. Lastly, students may also choose to allow the University to match them up with another first year student based on their living preference. If you decide you want to be randomly assigned a roommate, you will fill out a survey that will ask you about your study habits, living preferences, (are you a morning or night person? ), etc., and based on your answers, you will be matched up with a student with similar living habits. Regarless of whether you're living with your best friend of 6 years or a brand new person, living with a roomate is such a valuable experience to have, as you're bound to pick up a few life lessons about compromise and communication along the way, and its helpful to know that you're living with someone going through many of the same changes and experiences you are as a first year student. Part XI: See Our @UVa_Summer Instagram! Don't forget to also follow other UVa Instagram accounts, like @UniversityOfVirginia (reposted below)! "Did you catch movie night in Scott Stadium this weekend? They showed #Frozen! Now I just want to build a snowman... #UVaSummer?" "Repost from @runnersloveyoga: "We spelled out #UVA at popup yoga tonight! #wahoowa #yogaclass #outdooryogis #yogaflow #yogagram #runnersloveyoga #doyogarunfaster #universityofvirginia" #uvasummer"
"#tbt to that time there was a grand two story dome room from 1895-1970 before it was restored back to Jefferson's original design"
If organized sports aren't for you, no worries! UVA has a lot of resources for casual sporting and exercise. 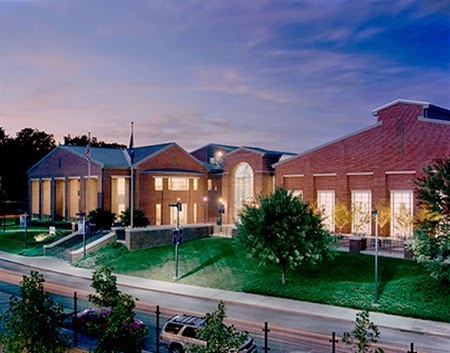 There are four main gyms on grounds: the Aquatic and Fitness Center, Slaughter Gym, Memorial Gym, and the North Grounds Gym. Each has state of the art exercise equipment and facilities. An interesting fact is that the AFC (Aquatic and Fitness Center, picture on left) has the largest hot tub east of the Mississippi River. Many of the gyms will have pick up basketball games, times to swim, etc. Also, in terms of outdoors fitness, UVA has a lot of great running and hiking trails nearby. There's also several outdoor soccer fields, tennis courts, beach volleyball courts, basketball courts, and more. We also have several rivers, lakes, and quarries within driving distance. Finally, during the winter time, Wintergreen ski slopes are available to avid skiers and snowboarders. For more information about some of these rec centers and resources, take a look this web page! The Good Old Song is the official song of the University of Virginia and is the favorite song of many students that attend the UVa. The Good Old Song is sung at several occasions throughout the year, including Rotunda Sing and Lighting of the Lawn, but it is most commonly heard at football games at UVa. After the football team scores, all of the UVa students and fans in the stadium will link arm-in-arm, sway from side to side, and sing The Good Old Song. The Good Old Song is also sung at the end of football games, and sometimes at the end of some of the other games for out other varsity sports teams. It is sung to the tune of Auld Lang Syne, and a copy of the lyrics is provided to all accepted students when they attend Days on the Lawn. The chant in the song's lyrics, "Wah-Hoo-Wah," is the unofficial fight chant of the University. The Good Old Song was originally written in 1893 and was written by several UVa students. The song was originally written as a way to welcome home the football team from victorious games, and since then has come to be used for many of the general and athletic events around Grounds. The origin of the "Wah-Hoo-Wah" cheer in the song is unknown, but it had been a part of student life at the time of the writing of The Good Old Song. One of my favorite memories from my first-year at UVa was the first time that I ever sang The Good Old Song at a home football game. To think that for over a hundred years, students at UVa have been linking arms and singing The Good Old Song together is truly remarkable. 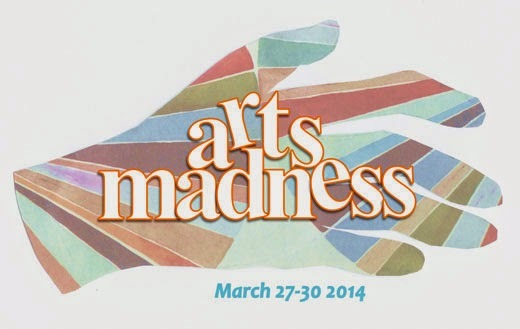 Every year, UVa Arts puts on a multiple day event called Arts Madness. During this time there are performances and showcases for all kinds of arts groups grounds, seminars on certain forms of art and even a graffiti wall. The whole point of this event is to get the UVa community involved with all its artistic opportunities and showcase what students have done at UVa. The showcase that happens during the event is a great way for artistic groups to show off what they can do, and events like the poetry slam give those who want to an outlet to express themselves they might normally get during the year. During my first year, First Year Players was one of the groups who got to perform for this event. I was lucky enough to be able to be a part of the songs we chose to perform and I also got to see other groups perform as we waited to go on and after we performed as well. There was a fashion show, dance performance and an acapella group all performing on this one stage for anyone who wanted to come see a sample of the arts in our community. Whether it's to perform with a group, showcase a talent, or just preview the arts, Arts Madness is a great event to get to for anyone interested in the arts at UVa. 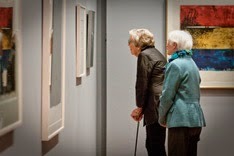 If you want to see past schedules of Arts Madness, click here for the UVa Arts site for the event. What gets a college student out of bed before noon on a weekend? No, the answer isn't brunch (this time). Instead, it's a tradition for friends and student organizations across U.Va. Anyone who drives into Charlottesville can tell you how picturesque some of the views are, but you haven't seen anything until you've hiked Humpback at dawn. 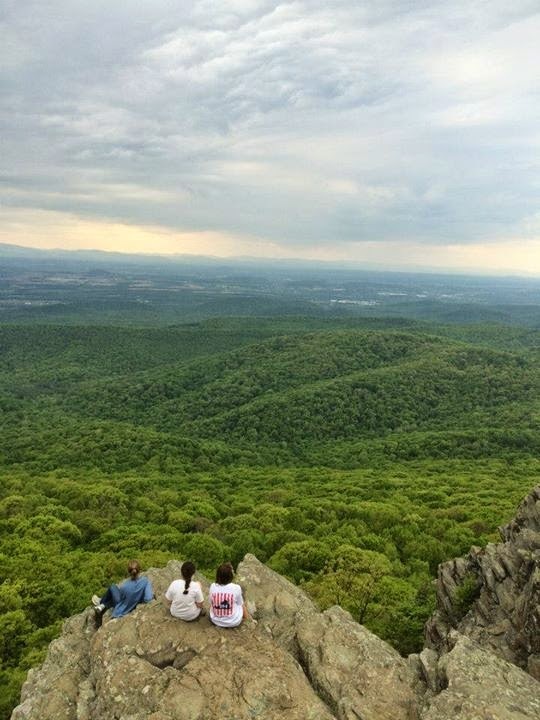 Just a half hour drive outside of Charlottesville, Humpback offers awesome views of Blue Ridge Mountains at the cost of an enjoyable, not-too-hard hike to the top. Students make their way up there as a way to bond off Grounds for a change. Lots of student clubs like arts groups, athletic groups, Greek organizations, and more make a tradition out of the trip. Many groups also wake up before dawn in order to make it up the mountain before sunrise. Seeing the sun rise from the top of the mountain is a can't miss moment for U.Va. students. Pack some water bottles, a granola bar or two, and bundle up (it's colder than you'd think that early, even in the summer!). Make your way to Humpback for an unforgettable U.Va. experience! 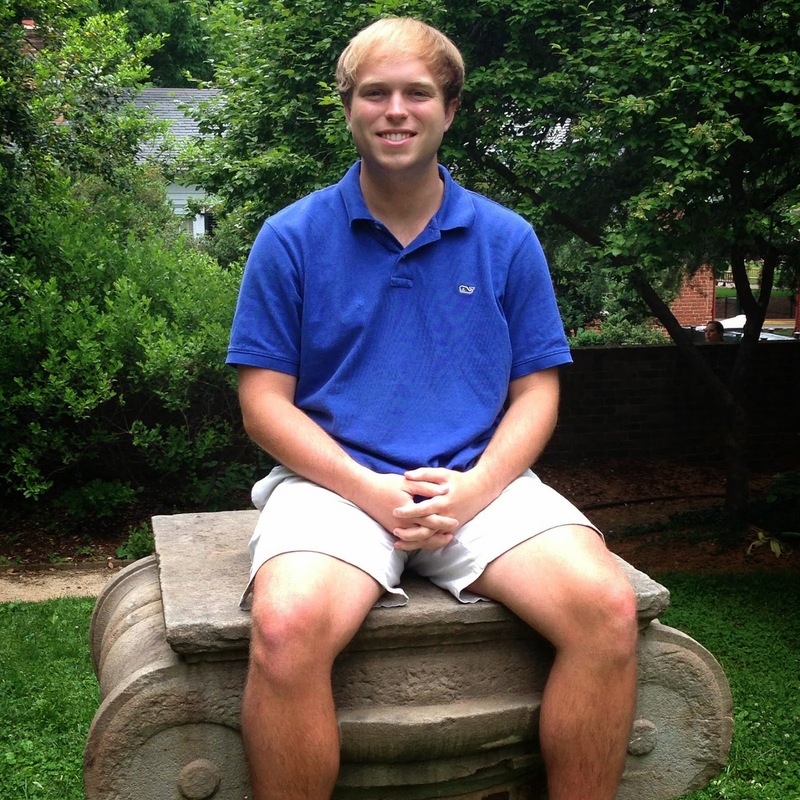 Does AP, IB, or dual enrollment credit transfer at UVa? Parents and students often wonder how and if UVA accepts credit for AP, IB, or dual enrollment courses that many students take during high school. UVA does a great job at offering credit for those three areas of classes. For AP credit, UVA takes mostly 4s and 5s. You can send in your scores to the University via the Collegeboard website. You may also send in scores during the admissions process if you would like our counselors to see how you have done on them over the years. A list of the scores UVA will accept for credit for AP classes can be found at this link: http://college.artsandsciences.virginia.edu/ap-credit . Similarly, for the IB programs UVA will take higher level scores. Which scores and what courses they accept credit for with respect to IB programs can be found here: http://college.artsandsciences.virginia.edu/iclec . 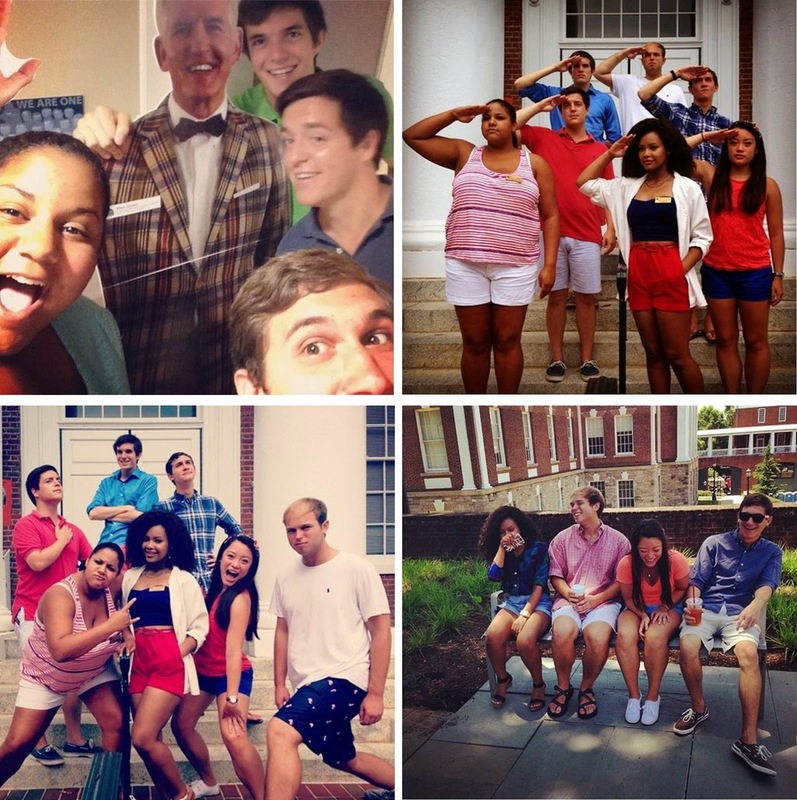 Part X: See Our @UVa_Summer Instagram! We're prepping for August, which means more students on grounds in just a few short weeks! Expect more and more pictures! "A special shoutout from @superalexisss, Class of 2015! 'Hoos in Dublin! UVA meets UCD @uva_summer #uvasummer"
"Great tour today with @chelmarrr and our new awesome friends from collegiate directions! Thanks for a great day! @uvasummer"